Light is a symbol of life and enjoyment - it has always been a source of inspiration for painters, poets and thinkers. In our everyday life, it also plays an important role, influences the mood and room climate. Light in a kitchen, which is both a working and living area, should be bright and friendly, pleasantly homely, but above all it should render the colours of food and furnishings as naturally, and therefore as appetisingly, as possible. To do so, LEICHT implements a specially developed, premium LED light with 4100 K (Kelvin) luminous colour and a colour rendering index of approx. 95 Ra that exactly fulfils these requirements. This means that kitchen lighting can be designed homogeneously and harmoniously in terms of colour. The LEICHT collection offers a number of possible forms of installation. 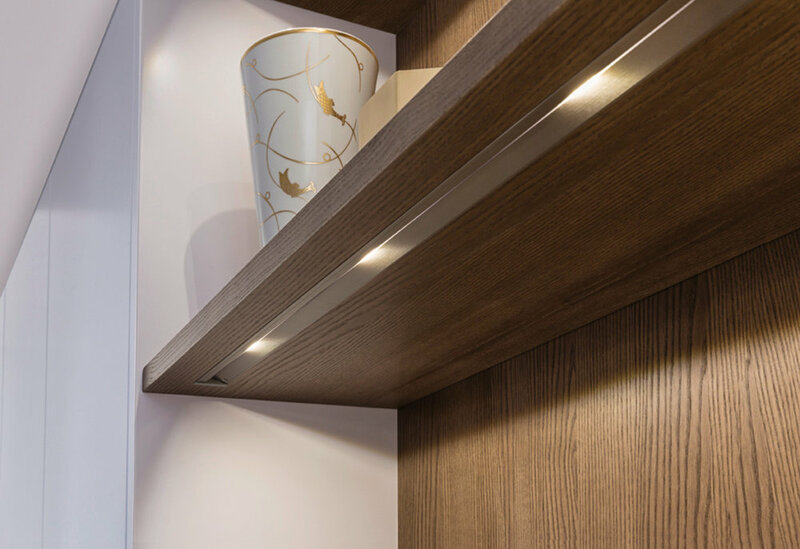 AMBIENCE illuminated cabinets with glass doors and XTEND shelving feature directed LED spots in a metal rail at the front edge of the individual shelves. 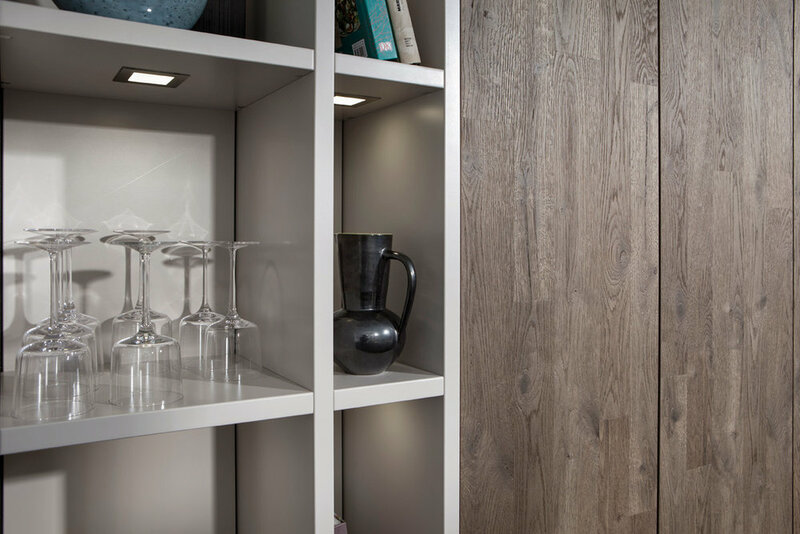 This ensures the glare-free illumination of the shelf below as well as providing effective, pleasantly indirect lighting.